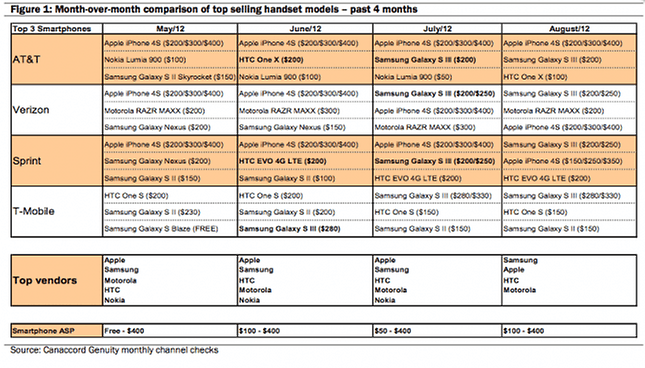 For the first time since it was first launched, the iPhone 4S has lost its top spot to another phone. 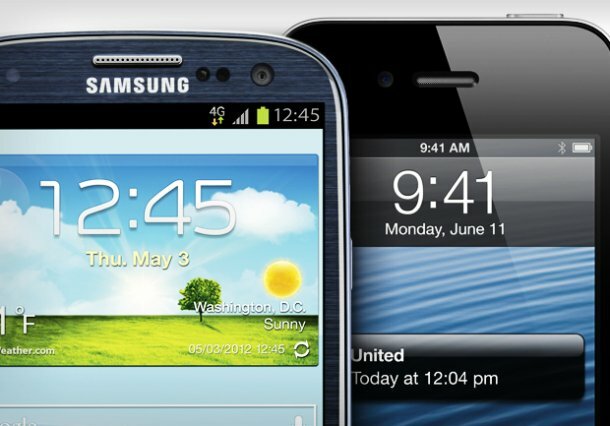 This time, it's the Samsung Galaxy S3 that's coming in first. That's according to Canaccord Genuity analyst T. Michael Walkley, who reached this conclusion after checking with retailers to see how each phone is selling. According to his calculations, the Galaxy S3 is the top-selling model on every carrier which offers it – Verizon, Sprint and T-Mobile. The only carrier whose top-selling phone is the iPhone 4S is AT&T. Other Android phones that are doing well include the Droid RAZR Maxx and the HTC One series – all of which are in the top 3 best-selling phones across the carriers. While it could be read as a sign that interest in Apple is waning, sales have likely slowed because people are waiting for the iPhone 5. Still, it's rare for one specific Android model to reach such dizzying heights. Congrats, Samsung! You're now the top vendor in the U.S.! Edit: lol, you beat me by 13 seconds. Congrats to Samsung but taking over the month before the new iPhone release just means you're beating the pants off of every other Android on the market. Apple's gonna have to drop the ball on the iPhone 5 before you can get really excited. Isn't that a Galaxy Slll listed as AT&T's #2 on the chart?